Ken Alexander is a leading employment law and wrongful dismissal litigator specializing in a wide array of issues. His cases range from wrongful terminations to class action lawsuits. He has acted for both employees and employers in many important employment law cases. For the past twenty years Ken’s professional activities have focused exclusively on employment law. His practice encompasses a broad range of employment law matters, including wrongful dismissal, human rights, sexual harassment, Employment Standards Act rights and complaints, employment contracts, disability claims, collective bargaining agreements, fraud, fiduciary duties, labour relations, injunctions, cross-border labour issues, non-competition covenants, misrepresentation, defamation and class actions, as well as providing advice on all aspects of employment law and civil litigation. Ken Alexander regularly appears before all levels of court in Ontario. Furthermore, he also appears before the Ontario Labour Relations Board, Employment Standards Referees and the Human Rights Tribunal of Ontario. Ken has developed a reputation as an experienced, thoughtful, ethical and skilled litigator. Consequently, he has a no-nonsense approach to finding the most practical and cost-effective solutions for his clients. Ken has served as winning counsel on several leading employment law decisions in Ontario. One example is Allstate Insurance Co. of Canada v. Laroque (2008), 64 CCEL (3d) 119. In this case, Ken Alexander successfully defended a former employee of a major national insurance company against an injunction application that would have devastated the employee’s independent insurance brokerage. 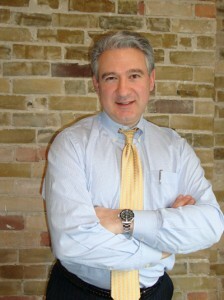 Ken Alexander is a former instructor at the University of Western Ontario Law School. Additionally, lecturer in continuing legal education seminars for the Ontario Bar Association, Canada Law Book and the Law Society of Upper Canada. Ken Alexander obtained his LL.B. from the University of Windsor in 1992. He was the recipient of the John Whiteside Award in recognition of his outstanding contribution to the University’s Faculty of Law and Clark Award for Outstanding Volunteer Service to Alumni. Ken is a former member of the Canadian Armed Forces Reserve and Member of University of Windsor Alumni Board of Directors. He is a Principal Davenport Law Group Association and has co-authored the Written Contract of Employment, and The Law on Disability in the Workplace. Ken is a former Adjunct Professor of Employment Law at the University of Windsor and a former lecturer of Employment Law at Seneca and Centennial College. He is a member of the HRPAO Discipline and Capacity Committee and the TFK “Thirst for Knowledge” Employment Law Group. During his off time he plays squash, hockey (not well), and cycles. He has been married for 20 years and has two sons.